Yesterday, the world got to see the first photograph of a black hole. It was a truly historic moment, and it couldn’t have happened without MIT CSAIL researcher Dr. Katie Bouman, who was catapulted overnight into the halls of global celebrity. And, of course, the Internet has found some way to ruin it. Because, y’know… the Internet. In a tweet, MIT CSAIL communications lead Adam Conner-Simons condemned this profile as a fake, adding that Dr. Bouman herself doesn’t personally use the site herself. To its credit, Twitter is actively suspending these fraudulent accounts. However, the accounts stick around long enough to convince people of their validity. Searching for the fake usernames (like “@katiebouman1,” “@katiebouman2,” and “@katiebouman3”) reveals a swath of people heaping praise on the hoax accounts and congratulating them on Dr. Bouman’s accomplishment. Even Microsoft was fooled. Hoax social media accounts are nothing new, but this one stings a bit. Dr. Bouman is quite literally a pioneer. 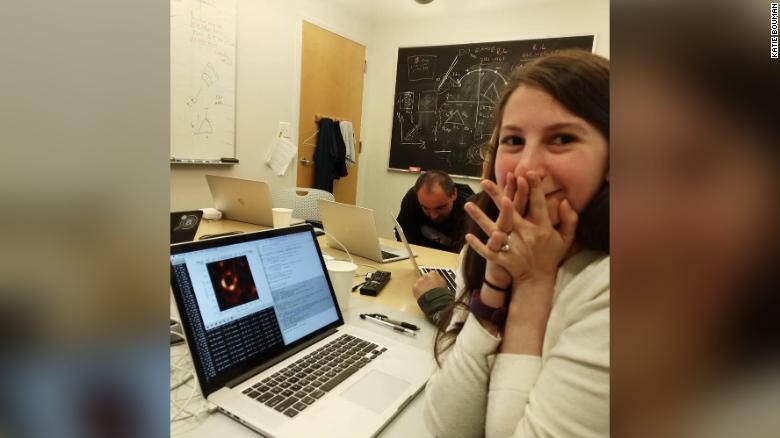 Prior to her work, we had no idea what a black hole actually looked like. She will inevitably go down in the history books as someone who helped further mankind’s knowledge of the great expanse we call “space.” Her name will forever be associated with other great names in her field, like Sagan, Gagarin, Armstrong, Hubble, Herschel, and Moore. It feels eminently cruel that, at this moment, hoaxers are appropriating credit that rightly belongs to her. I’d add that at this time, Dr. Bouman should be celebrating her success, rather than worrying about the malign activities of a few bored internet parasites. This episode does highlight the importance for public figures to own their public profiles. Even if you don’t want to engage with Twitter (and let’s face it, at times it’s a toxic mess that gives the Hudson River a run for its money), it’s sensible to prevent other people from hijacking your identity, as happened here with Dr. Bouman. When it comes to the Internet, you can – and should — expect the worst from people. Read next: TNW2019 Daily: Don't miss Guy Kawasaki speak at our conference!